SAN FRANCISCO--(BUSINESS WIRE)--Osterhout Design Group (ODG), leading developer and manufacturer of mobile AR/VR smartglasses, today announced the closing of a $58 million Series A funding round. Shenzhen O-film Tech Co., Ltd., Vanfund Urban Investment & Development Co. Ltd. and several individual investors participated in the round alongside principal outside investor and strategic partner 21st Century Fox, previously announced in January 2016. ODG will use the funds to accelerate its existing production capabilities, complete its new products, which will be introduced at CES ‘17, expand its patent portfolio and significantly grow its team worldwide. 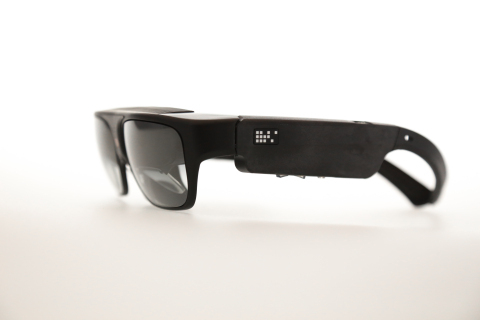 ODG has been pioneering the next generation mobile computing platform and bringing forth a new frontier in visual experiences with its smartglasses. Already award winning, the Company continues to push the boundaries with AR/VR ‘mixed reality’ and mobile technologies. Shipping to specialized customers since 2011, ODG has seen rapidly growing demand from a broad base of industries for its fully self-contained, computerized glasses with their photo-realistic, “see-through”, 3D displays. All of its models are fully integrated, small, light and sleek. Their onboard GPS/IMU-based navigation gives users the ability to experience telepresence, tele-maintenance and tele-repair everywhere. ODG will continue to refine and advance its technology and will transform the way we create, view and consume content in a form with the familiar size and comfort of sunglasses. Moelis & Company LLC acted as financial advisor to the Company in connection with the transaction. Augmented Reality and Smartglasses leader Osterhout Design Group closes $58 million in funding, to become the largest Series A in Wearables, Augmented and Virtual Reality sectors.